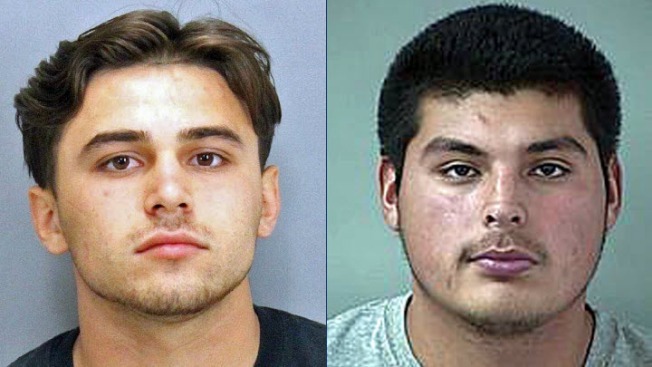 Three teenagers were arrested in connection with a stabbing in Morgan Hill that left a 16-year-old boy with major injuries Friday. The boy was stabbed near Tennant Avenue and Church Street at about 10:40 p.m. Friday, according to police. Officers arrived to the scene of the stabbing but weren't able to find the victim or any witnesses. Medics from a hospital called police a few minutes later and said a 16-year-old victim was in critical condition after being stabbed in the back multiple times. After identifying the suspect's vehicle, police conducted a traffic stop at 7:16 p.m. Saturday and arrested the 17-year-old driver on suspicion of attempted murder and conspiracy. He was booked into Santa Clara County Juvenile Hall. Another suspect, 19-year-old Roman Yerkovich of Morgan Hill, turned himself in to police. He was arrested on Sunday and was booked into Santa Clara County Main Jail without bail on suspicion of attempted murder and conspiracy. On Monday, a third suspect, Luis Pineda, 19, was arrested in connection with the stabbing. He was booked on the same charges. Anyone with information about the case is asked to call Detective Fernando Del Moral at (408) 779-2101.